As is usually the case while waiting for new FTD releases to be announced, the rumour mill has been in full swing the last couple of weeks. On January 12 someone wrote on the FECC forum that there would be "some very special news from the FTD people." After six days of discussions and guesses (ranging from the long awaited SUN project to an Elvis In Concert CD/DVD/Hardcover Book Box set project) Ernst denied this, saying that "an announcement will be made in early February - and it's just a regular announcement." 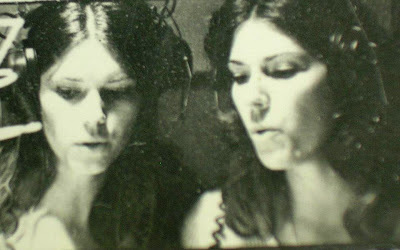 Two days ago, on January 26, the Elvis Information Network wrote that they had overheard that the new March FTDs could be 1) On Stage Album 2) 1975 soundboard concert - possibly Shreveport June 7 3) His Hand In Mine double-vinyl release. The post finished with the sentence that "These have yet to be confirmed by FTD." Now, yesterday, ElvisMatters posted the news that the Elvis Express website could confirm that the rumoured 5" live album will be the concert from June 7 1975, Shreveport, Louisiana, and also that there was no confirmation yet of the other two titles. I've written about this before, but FTD really should have their own website where the announcements could be made firsthand. That way, the rumour mill wouldn't have to swing so fast. Or, failing that, does like it says on the FTD releases News section on the official site of Elvis Presley: "Whenever a new release is ready to be announced, FTD provides information to EPE to post in the FTD News section here on Elvis.com and then provides information to its other distributors, fan sites, etc." 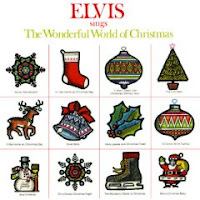 That was actually the case when the last announcements were made in October (Promised Land, Elvis Sings The Wonderful World Of Christmas, Elvis Is Back (vinyl) and A Moment In Time (book). But when I took a look there today, there was no sign of the new FTD March releases. But who am I to complain? As On Stage – February 1970 is one of my favorite albums, I'm happy that I can soon cross it out from my list over future possible releases in FTD's Classic Album series. And Our Memories Of Elvis looks promising also. In a way I guess it's a logical move to release it, just as FTD did with the Too Much Monkey Business CD back in 2000, featuring the songs re-recorded for the Guitar Man LP from 1981. Maybe this means that the This Is Elvis double album will also see a release in the future, who knows? On Stage – February, 1970 Classic Album. A 2 CD 7" digipack with the regular 12-page booklet. As well as the Original Album (mastered by Vic Anesini) the album will include all of RCA’s multi-track recordings from three of Elvis’ shows. Our Memories Of Elvis – a 2 CD 5" digipack version of the original albums, with an added bonus of the previously unreleased Volume 3 LP master tape plus six more cuts that series producer Joan Deary had prepared at the time. It comes with a 12-page booklet of relevant memorabilia and photos. His Hand In Mine vinyl 2-album set. Special Limited Edition 2-disc 180-gram vinyl set. Elvis Matters also announces that "There will be a separate announcement of book titles" soon. Maybe a CD/book combo from Elvis show in Shreveport 1975? 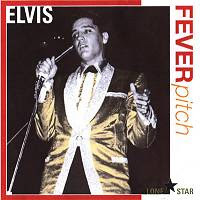 PS: Wouldn't the unreleased Our Memories Of Elvis Volume 3 be the perfect candidate for a "what if" LP from FTD? That's the concept I wish FTD would use for their vinyl releases. January 8 is always a day when I think a little extra of Elvis, and in my own humble way try to celebrate his birthday, maybe by watching one of my favorite movies or playing a record that has a special meaning to me. As he would have been 77 years today, for some reason I came to think of the Elvis In Concert album, recorded in 1977, so that will be my choice this time. But today is also important to me for another reason. Twelve years ago I asked a pretty girl out on a date, and by chance that date took place on Saturday, January 8. I'm happy to report that the date went well, today that girl is my wife and we have a beautiful daughter. In fact, the two of us always try to go to a restaurant on this particular day each year, and usually ends up joking about if it's Elvis or us we're celebrating. And all kidding aside, I'll be able to listen to Elvis In Concert together with my daughter during the day, and focus on my wife in the evening. The first 271 blogs by the author on his blog site, www.elvistodayblog.com. As you expect from a “blog”, the topics covered are eclectic. Melin ponders issues as diverse as Elvis in the shop window and archival media reports to new bootleg releases, the need for an FTD (Follow That Dream) website and the album that never was. All in all it makes for interesting reading. Includes listing of major Elvis websites and other Elvis related blog sites. Elvis In Print: The Definitive Reference & Price Guide, Nigel Patterson - scheduled book release listing details and values for more than 3,000 book and magazines about Elvis published around the world. Reading this, I e-mailed Nigel Patterson whom I recognized as one of the guys running the Elvis Information Network site, and asked him if he could share some more information about his upcoming book. He kindly replied that Elvis In Print is still in draft form and probably will be for some time. The manuscript currently exceeds 500 pages (without visuals), with more than 3,000 book and magazine listings (75% are books) from more than 20 countries. He also wrote that he expects the number of releases to spike over the next few years as more writers take advantage of the economical self-publish options for both physical and e-books. Finally, he told me that he expects Elvis In Print to be around 600 pages when it's published, with 3,500-4,000 listings. I for one am looking forward to the release of Elvis In Print. After all, it's not everyday your work is mentioned together with renowned Elvis writers such as Bill Burk, Ernst Jorgensen, Peter Guralnick and Ger Rijff. I celebrated New Year's Eve peacefully with my family, including my five year old niece. As she arrived, she told me she would like to watch an Elvis movie, and of course, I was happy to oblige. Paradise, Hawaiian Style being her firm favorite, we this time went for Blue Hawaii, me telling her that "Elvis plays an ukulele, just like the one you received for Christmas." I was a little nervous she would find Blue Hawaii to be a bit boring and too serious (she didn't like Fun In Acapulco) but I didn't need to have worried. She enjoyed it from the start, pointing out that Elvis seemed to be a Casanova in this movie as well, first kissing a air hostess and then his girlfriend (Joan Blackman) waiting at the airport. 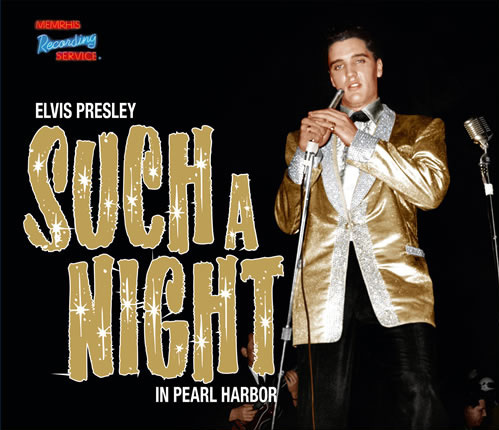 One scene she loved was when Elvis sang "No More" with some Hawaiian friends on the beach, another the one at the luau, where Elvis belted out a couple of numbers, such as "Ito Eats" and "Slicin' Sand." She also had a big laugh when Joan Blackman turned Elvis surfboard around so he fell into the water. 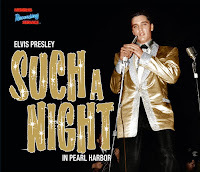 Finally, I could tell she was impressed with the marriage ceremony at the end of the film and the clothes Elvis wore while singing "Hawaiian Wedding Song." 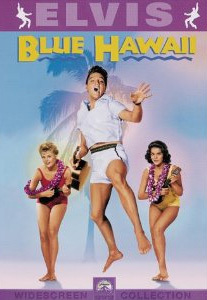 As we sat there and watched Blue Hawaii, I found myself enjoying it as well. The scenery was beautiful, the soundtrack very good and many of the co stars entertaining as well. Howard McNear, who played the boss of the tour company, was particularly funny, constantly forgetting that Elvis worked for him. And last, but not the least, Elvis seemed to be enjoying himself, looking relaxed and comfortable on screen. So maybe my niece and I will catch another Elvis movie next New Year's Eve around. It sure makes me happy that she likes Elvis. At one time during the movie I had to go prepare some food, and she came rushing after me. "Can we continue to watch the movie and don't wait for you," she asked pleadingly. From a five year old, that's high praise for Elvis indeed.